Are you looking for Fair Trade prayers and reflections for a church service or for personal prayer? Materials for Prayer and Reflection on Fair Trade offers the materials we’ve provided for Fairtrade Fortnight Church Action Guides and other resources over the years. 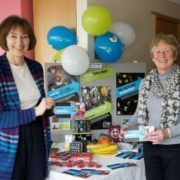 For many years, the Fairtrade Foundation, in conjunction with other agencies, has produced an annual Church Action Guide for Fairtrade Fortnight. Take a look at this year’s – and some from past years. This week, we celebrate the International Day for the Eradication of Poverty (17 October). A few weeks ago, I (Maranda) had the privilege of visiting Fair Trade producers in Swaziland. Swaziland is a beautiful country, a little larger than Northern Ireland and a little smaller than Wales. It’s landlocked, surrounded largely by South Africa, but sharing more than half its eastern border with Mozambique. The western side of the country contains mountains which gradually shift into the Middleveld of rolling hills; the eastern side is a lowland plain leading, on the border with Mozambique, to the Lebombo Plateau. Though beautiful, however, Swaziland faces many development challenges. While the size of its economy makes it nominally a lower middle income country, the distribution of wealth is unequal, and as of 2010, 42% of its population lived on less than $1.90 a day. Work is hard to find: unemployment is over 25% for the whole workforce and over 50% for young people. And health-related issues – and their impacts – are serious: UNAIDS lists Swaziland’s adult HIV prevalence as the world’s highest at 27.2%; and the World Food Programme estimates that over a quarter of all children are stunted because of malnutrition and 45% of children are orphaned or vulnerable. In short, pro-poor development is essential, and exploring options that can deliver it is vital. One possibility for farmers is Fairtrade – the production of commodities certified with the FAIRTRADE Mark – and three sugar producers in Swaziland are Fairtrade certified. We are focusing, however, on Swaziland’s manufactured goods and crafts, and so I was looking at Swazi groups that are, or are working towards becoming, Fair Trade Organizations as defined by the World Fair Trade Organization (WFTO)’s ’10 Principles of Fair Trade’. There are enormous reserves of artisanal skill within Swaziland – and great pride in the work people do. Fair Trade builds on and enhances that. 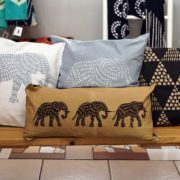 Much of the work produced by both individual artisans and groups is truly beautiful: Swaziland’s Fair Trade products are not a ‘charity buy’ but are worth purchasing because of their quality. People connected in different ways with Fair Trade emphasised the businesses’ role in giving skilled creative people an outlet, recognising the artistic merit of what they are doing. That recognition was in itself important. Swaziland Fair Trade (SWIFT), a Fair Trade business network, is helping individuals and groups overcome the initial obstacles to making a fair income from the goods they produce. SWIFT is a member-based association which aims to make Swaziland a leading supplier of “world class, ethically produced products resulting in the upliftment of communities throughout the country.” To that end, it provides training and support services to individuals and groups starting or growing Fair Trade businesses. At entry level, it’s helping ‘Level 1’ members, artisans still involved in very small-scale production, to develop sustainable business models, an understanding of the quality control needed to sell their goods formally, and access to local and wider markets. This involves a range of services in addition to in-class training: for example, SWIFT takes artisans to trade shows so that they can see the markets they’re trying to enter, and all SWIFT members are able to display information on the SWIFT website and to sell their goods at SWIFT’s store. Thanks to funding from Comic Relief via the Shared Interest Foundation, some artisans have also received seed funding to improve their manufacturing or retail capacity. SWIFT states that 25 new businesses have been established since 2011. Larger Fair Trade enterprises are also reaching some of the people who are often the most marginalised, enabling them to gain an income. There are numerous examples of this among SWIFT members at ‘Level 2’ (larger, formally registered businesses) and ‘Level 3’ (the largest, export-ready businesses). For example, ‘Level 2’ member Amarasti offers rural women the chance to do embroidery work at home, enabling them to earn a living while caring for family members. The women pick up piece work, take it away, and then return the finished work to the organisation’s base. The work is highly skilled: Amarasti has recently been able to fulfill an order for a large retailer that demanded high standards of workmanship and uniformity. ‘Level 3’ member Eswatini Kitchen, meanwhile, buys produce for its jams and chutneys from local small producers – while the carved wooden spoons that form part of their gift sets are carved by disabled people in remote communities. In another instance, Traidcraft has written about the grandmothers growing chilli peppers for Level 3 member Black Mamba, and the difference that Fair Trade has made to them and their community. While what has happened so far is encouraging, there is scope for far more. It’s inspiring to hear people talk about the difference Fair Trade has made in their lives – and we’ll be sharing some more of that with you over the months to come. But one thing that emerged from conversations was that there is the capacity for much more. True, for some individuals and organisations, the orders they are receiving match their current ability to deliver. But others have the capacity to export new lines or significantly larger amounts of already available products. Especially for those businesses that have relatively large permanent workforces, expanding the volume of orders is crucial to maintaining stability … and to perhaps being able to increase the number of staff they can hire. Early on in the conversations with Eswatini Kitchens, I’d confessed to a fondness for their lime pickle and Swazi fire. As we entered their honey processing facility, one of the staff turned to me and asked, “How do you eat the lime pickle?” In that moment, the connection between my daily life at home in my kitchen and what I was seeing in rural Swaziland came together with a sudden clarity. In reality, those connections between our lives and the lives of other people around the world happen all the time, every day. We just don’t see them. But as we know, the products we buy and the energy we use and the things we support politically and the way we pray matter. And if we can help ourselves and others to see the choices we make in our homes and gardens and schools and churches and and workplaces for what they really are – choices that affect local and global neighbours – we can begin to try to choose a way of life that works to end poverty, to reduce inequality, to seek the restoration of creation. That’s not a new thought for our supporters. But it’s a thought worth holding onto – and sharing and praying about – this next Day for the Eradication of Poverty. The 18th of October is observed as ‘Anti-Trafficking Day’ – a time to resolve to pray and act on behalf of the millions of people who are trafficked and/or trapped in forms of modern slavery. The Clewer Initiative is asking churches particularly to think about how we may be connected to people who have been trafficked or enslaved, either through the goods we purchased or through what’s happening in our own communities. The Initiative has produced a wide range of excellent resources, ranging from a collect, full ecumenical service and materials for individual prayer times to simple-to-print posters alerting people to the signs that someone may be enslaved – and how to respond. They’re heartily recommended. And please consider introducing these (or other) resources into your church’s worship at some time in the coming year. Let us share in this bread of life that God gave to us this day. Remember those who hunger and thirst on their journey in search of shelter. Response: As we eat a piece of this bread, we commit to stand in solidarity with those who are hungry and stateless. We pray earnestly that God may use us as instruments to eradicate homelessness and hunger. Amen. Jeremiah is the focus of one of this week’s Revised Common Lectionary Old Testament readings. The context is that Jeremiah has been called to prophesy prolonged service to a foreign kingdom when the false prophets are speaking about a return of the exiles and a restoration of the Kings of Judah. Are there places today where we are seeking words that promise a false peace when God is calling us to a faithful acceptance of challenge? This coming week is the latest ‘Speak Up Week of Action’, in which the Climate Coalition and its members are encouraging people around the UK to speak with their MPs about climate change. If you would like to undertake action, you can either attend your MP’s surgery or write to your MP, noting that it’s the Week of Action and that you have some concerns and requests. The Climate Coalition has an outline briefing on what to say (p.13 of the Action Guide): we would recommend in addition that you ask your MP to ask the Prime Minister how she intends to implement the Climate Change Committee’s most recent recommendations. The recommendations were published this week: a summary can be found here. If you would like a template letter, please email us. If you are meeting – or plan in the future to meet – your MP and would like the brilliant new Hope for the Future booklet on preparing for such meetings, please also email. that the Government will respond by working to implement the Paris Agreement and taking rapid action to support local and community energy and to tackle energy waste in homes and emissions from vehicles. As this month’s Pray and Fast prayer points note, Donald Trump’s removing the US from the Paris Agreement – and his government’s attacks on environmental legislation and funding more generally – have had the perhaps unanticipated impact of galvanising many in the US who remain committed to care for the environment. There is some hope that a dramatic scaling up of work undertaken by agencies is beginning to see a reduction in deaths – but the situation remains critical. for all affected by cholera, asking God to bring hope and healing to the people with the disease and those loving and caring for them. in thanksgiving for the dedicated health workers labouring – despite, in many cases, lack of equipment, medication and pay – to prevent and treat cholera. Pray that God gives them strength in the face of difficulty and that they are able to access the medicines and equipment they need. Pray that they will also be able to get the pay they need for themselves and their families. in thanksgiving that parties to the conflict are now allowing medical assistance into areas where aid has previously been blocked. for a just end to the conflict that is devastating Yemeni’s lives and Yemen’s infrastructure and that is creating the circumstances where cholera can flourish. Pray for wisdom for those leading efforts to press for diplomatic resolution of the conflict – and to hold all parties accountable for their actions in the conflict. Or could you donate to any one of the many charities (eg Christian Aid, Tearfund, Oxfam) offering assistance in the country? A few weeks ago we reported on the worrying development that Sainsbury’s was preparing to pull the Fairtrade label from some of its own brand tea (and rooibos tea) products, replacing it with a “fairly traded” label as part its new ‘Sainsbury’s Sustainability Standards Programme’. We noted grave concerns around this, centering on the lack of transparency in the process and Sainsbury’s refusal to allow producers direct control of the equivalent of the Fairtrade premium; we’re also very concerned about the misleading nature of the ‘fairly traded’ label. The Fairtrade Foundation has countered Sainsbury’s explanation that the new programmes were designed to help farmers deal with climate change by pointing to Fairtrade’s own work in this area. It has also issued a strong, clear statement of why producer empowerment – through things like self-determination in the use of the premium – is such an important part of Fairtrade. seeing “‘own brand’ certification standards as a step backwards in tackling major issues related to poverty and environmental sustainability,” as such standards undermine collaborative work across sectors. the apparent lack of “meaningful consultation of trade unions, workers or farmers’ organisations in the development of the standards” and the failure to reflect the feedback of some of the organisations who were consulted. A piece in The Observer brought these issues to wider attention, highlighting some of the issues involved. This was one of a number of examples of negative press coverage: the Financial Times and industry publications (eg Sustainable Brands, The Grocer) also carried articles noting criticism of Sainsbury’s. A major petition, with the support of many of the agencies involved in Fairtrade, has been set up on Change.org. It’s hard to tell what impact the protests are having: Sainsbury’s has not officially announced any changes and has continued to permit its employees to make statements, occasionally of questionable accuracy, regarding the relationship between their model and Fairtrade. Can these dry bones live? Whether these words in this week’s Revised Common Lectionary readings make you think about dry places in your own life or other people affected by spiritual, mental or physical dryness, it’s a question which we’ve all asked at some point. Thanks be to God for the hope of new life in this week’s readings … and in the saving work of Christ on the cross, which we are preparing to celebrate. World Health Day, held annually on the anniversary of the World Health Organization’s founding in 1948, is “a unique opportunity to mobilize action around a specific health topic of concern to people all over the world.” This year the WHO has chosen to focus on depression. Perhaps the same impulses that mean we are often reluctant to talk about depression here in the UK mean that people don’t raise it as a genuine and pressing issue in other situations around the world. But it is no less real for that – and no less real than more obvious issues like hunger. Indeed, last October the WHO launched a year-long campaign, Depression: Let’s Talk, focusing on depression as a global issue. In their recent publication ‘Depression and Other Common Mental Disorders – Global Health Estimates’, the WHO report that globally the total number of people with depression was estimated to exceed 300 million in 2015. That’s more than 4% of the world’s population. And contrary to the common supposition that depression is a ‘Western’ disease, 80% of the people affected live in low- and middle-income countries, and the highest rate of depression is 5.9% among women in the African region. Depression is more prevalent in women than in men in every WHO region (and, globally, across all age groups). Unsurprisingly, people are more likely to suffer mental health problems in emergency situations. Mental health problems can be induced both by the emergency itself (for example as a result of grief, distress, family separation, loss of livelihood or the tearing of the fabric of ordinary life) and also by circumstances arising during the humanitarian response (for example through overcrowding in camps, lack of privacy or anxiety caused by a lack of information). In addition, an emergency can exacerbate people’s pre-existing conditions. 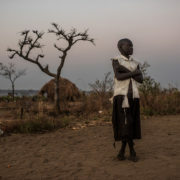 In a World Bank blog Patricio V. Marquez calls for more to address these issues, noting “While most of those exposed to emergencies suffer some form of psychological distress, accumulated evidence shows that 15-20% of crisis-affected populations develop mild-to moderate mental disorders such as depression, anxiety, and post-traumatic stress disorders (PTSD). And, 3-4% develop severe mental disorders, such as psychosis or debilitating depression and anxiety, which affect their ability to function and survive.” Mental health issues affected over 10% of people visiting clinics in Nepal following the earthquake in 2015 and recent harrowing reports from Syria show the profoundly traumatic impact the conflict is having on children’s mental health. In their recent report, Invisible Wounds, Save the Children quote a teacher from the besieged town of Madaya who told them, “The children are psychologically crushed and tired. When we do activities like singing with them, they don’t respond at all. They don’t laugh like they would normally. They draw images of children being butchered in the war, or tanks, or the siege and the lack of food.” Save the Children also reference a 2015 study of Syrian refugee children in Turkey, which found that 45% of the children showed symptoms of post-traumatic stress disorder and 44% showed symptoms of depression. 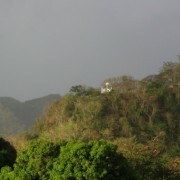 As we think about and pray for people suffering debilitating depression in traumatic situations of crisis, we also want to remember and pray for people who might not be ‘clinically’ depressed, but whose mental well-being is adversely affected by crises or by chronically difficult situations – perhaps of poverty or providing long-term care. The reality of this issue was forcefully brought home to me (Elizabeth) back in 2005 when I visited a home-based care project for people living with HIV and AIDS in Zambia. At the time, antiretroviral drugs were not commonly available, and death rates were very high. I spent a morning with Anne, a nurse counsellor, visiting clients in the area she supervised. I was able to meet some of the people she helped care for: women living in extreme poverty who received nursing care, medicines, nutritional supplements and practical help with cooking and cleaning from volunteers of the home-based care (HBC) programme. The love and care shown to the clients by the HBC staff and volunteers was deeply moving and greatly appreciated by the recipients. But it came at a cost. Anne told me about the burn-out that staff and volunteers commonly experienced from the relentless cycle of “making friends with clients, seeing them struggle with insufficient food, and eventually dying… and the toll of constant funerals”. For all people living with depression – that they might find support and healing. For the WHO’s Depression: Let’s Talk campaign – that it would help to break some of the stigma associated with depression and other mental health disorders, help people to become better informed about depression, and encourage people with depression to seek help. In thanksgiving for the recognition, by the WHO and other agencies, of the need to integrate mental health care into how they respond to emergencies. See here for more. For agencies working in crisis situations as they work to provide effective mental health care. For the children of Syria and other conflicts, who have experienced trauma and mental scarring – that they might find healing and peace. For the millions of unknown people who feel overwhelmed and burnt-out by the care they provide in chronically difficult circumstances. The first of each month is marked as a day to Pray and Fast for the Climate – but we need prayers for climate action throughout the month … so we’re including the Pray and Fast April prayer points with this email. Please do use the materials in your public and private prayers throughout this month. And during the Easter season, look forward to some stories of hope from Christians who are working to care for creation, sometimes under difficult circumstances …. Paraguay’s capital of Asunción erupted last night as protesters demonstrated against a secret Senate vote in favour of a constitutional amendment allowing the current President, Horacio Cartes, to run for re-election in 2018. Pray for a just and peaceful solution to the situation and to the wider political and economic issues facing the country. Pray for wisdom for all in government and all in positions of religious, economic and social leadership. Pray for moves that increase justice and transparency, reduce corruption and inequality, and provide stability and a better life for all South Africa’s people. There’s much to pray for around post-Brexit trading arrangements, but today we’d commend two points. First, pray for a new campaign that asks the government to protect people from the world’s poorest countries against negative trade impacts following Brexit … and to go further by promoting development-friendly trade. Secondly, the US has just released its 2017 report on what it considers ‘foreign trade barriers’. If you read the chapter on barriers to trade with the EU, you’ll see that it includes many environmental, chemical and food standards that help to promote care for creation. If these are considered ‘trade barriers’, they will almost certainly be key negotiating targets in any bilateral deal that the US does with the UK. Pray firstly for US politicians to grow in their desire to care for creation – and secondly for UK politicians to be prepared to stand up for higher standards while negotiating new deals. Please do remind people in your churches about Fairtrade Easter treats, especially the Real Easter Egg (available in Tesco, Waitrose, Morrisons and a few Co-ops, as well as online through Traidcraft and the Meaningful Chocolate Company itself). Many churches have already ordered the eggs for parishioners … but there are always a few people still looking late in the day. The Real Easter Egg is Fairtrade-certified, offers a donation to charity, and tells the story of Easter … a win/win all around. It was with great regret that we learned this week of the death of John Madeley, a leading writer on development issues – especially around trade – and a good friend to CCOW for the past several decades. John combined gentle kindness, a deep spirituality, and a fierce passion for justice for the poor. 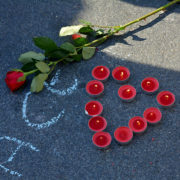 We give thanks for his life, and ask God to send comfort to all who mourn his death.